TCAT Parliament had their first meeting at Sir Thomas Boteler Church of England High School on Wednesday 7th March 2018. 4 student representatives from all 7 schools came to be part of TACT Parliament. This meeting was the first official meeting for TCAT Parliament, after the initial Q&A meeting with Mrs Scott-Herron a year ago, plus events at Priestley College in the summer, and a visit to Parliament last October. The aim of this meeting was to establish the set-up of TCAT Parliament and to decide on a project that would develop across all establishments and communities. The students were delighted to listen to Amelia Titchard, Sir Thomas Boteler Church of England High School’s Head Girl play the ukulele as a welcome. Students then went on to meet each other and get to know one other. Students also received their TCAT parliament badges, presented by Mrs Mawby, Assistant Headteacher at Sir Thomas Boteler Church of England High School. Mrs Mawby led a session on ‘reducing the amount of plastics that we use’. The students worked in small groups to develop a project for TCAT Parliament, and determine a strap line. The students felt that our schools do not recycle the plastics that we use enough and students in their schools are not using any recycling bins. Each school has nominated a Chair, Vice Chair, Clerk and Marketing Manager to lead the project back at their school. They are currently putting together an action plan to lead on with their council in their school. 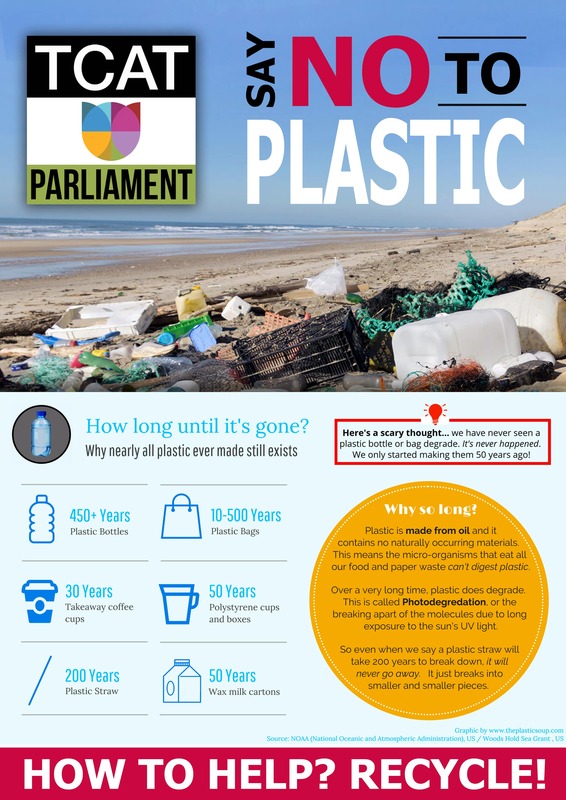 Each school will look at developing the use of recycling bins and ensuing that their students recycle the plastic bottles used in their school. They will be leading assemblies and form times over the next few weeks to raise awareness of their project. 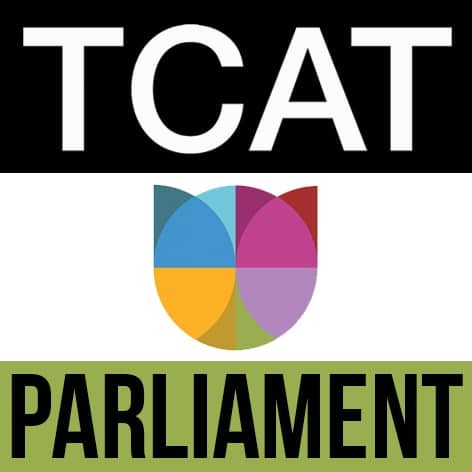 Visit our News section for more TCAT Parliament News!